The Forest of Totems is an interactive installation consisting of five inflatable totem poles that grow organically from a large central artery. The large dormant artery sculpted from rubber-coated rip stop nylon, flows through the entire installation, framing the five shriveled, upright forms. 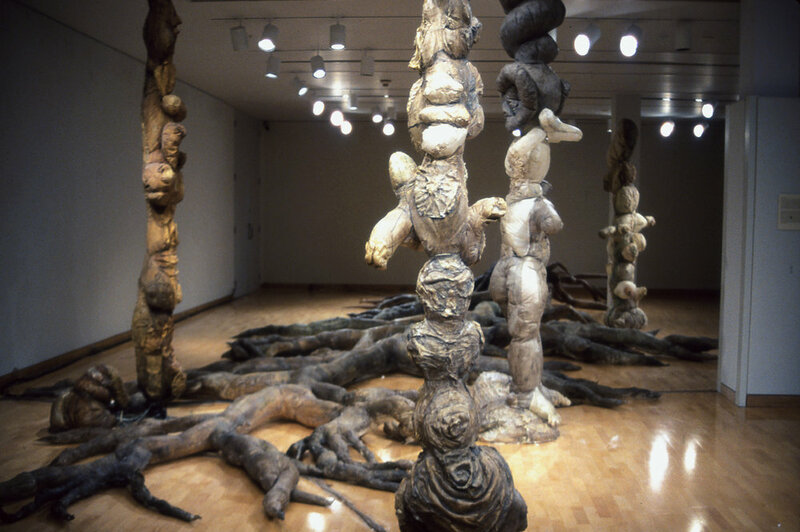 Upon entering the installation, the visitors’ movements through the Forest trigger the artery to push air into the Totems, causing them to tumesce with a pulsing rhythm. 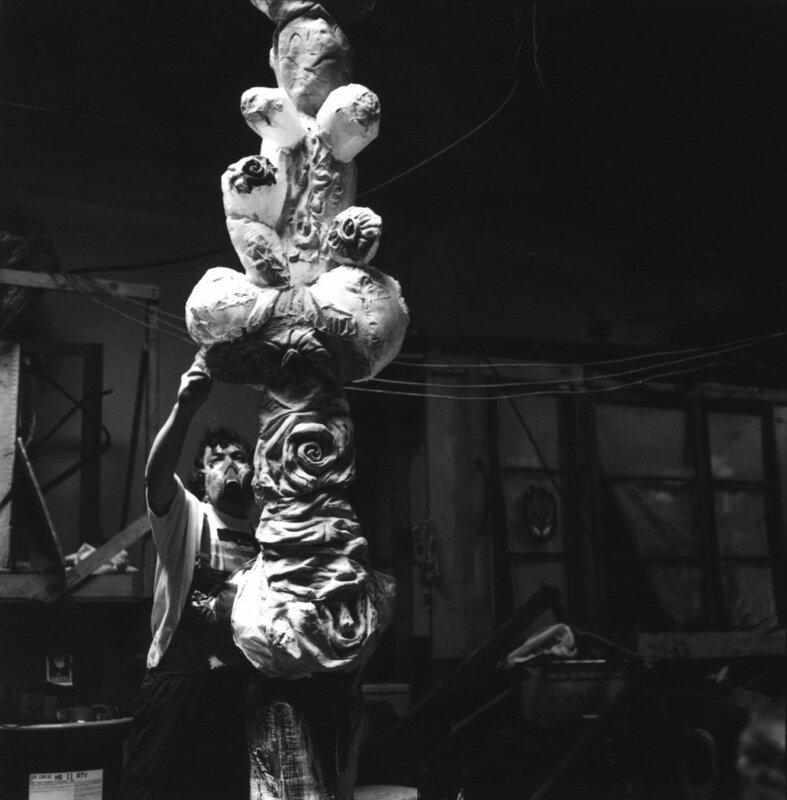 As the Totems rise, they reveal intertwined imagery collaging the human condition. Once the visitor is in the Forest among the totem- poles and becomes involved in their dance of upward growth, the entire floor is activated by the strong pulsing of the artery. 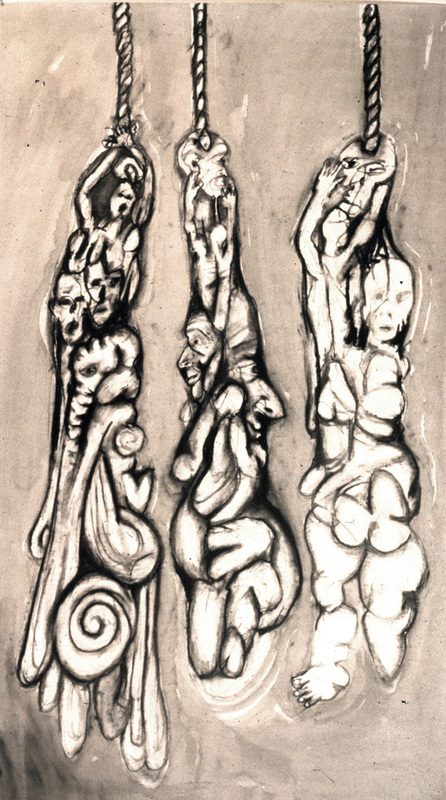 The Totems continue to climb and push towards the ceiling, attempting to reveal their hidden forms. 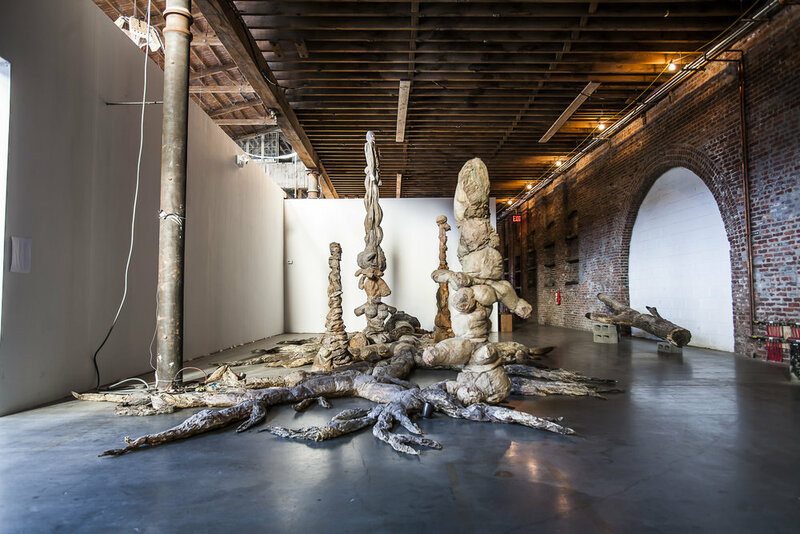 By creating shapes and movements that are reminiscent of both plant life and human viscera, the Forest of Totems reminds viewers of the unity of Human and Nature.